I’ve been an essential oils fanatic for years, but it wasn’t until my mom came over, pointed at my diffuser and asked, “What’s that thing?” that I realized I didn’t know a lot about how essential oils work. I felt kind of silly standing there not being able to explained how these little bottles of aromatherapy heaven ACTUALLY work and the magical things they can do! I don’t want you to have the same, “Uh, IDK,” moment that I did, so let’s talk about how essential oils work, okay? Super simple: Essential oils are called “essential” because they contain the “essence of” plants. The liquid not only consists of the plant’s scent, but also its properties. Essential oils are LITERALLY the chemical compounds of the plants they represent. They are made by crushing the plant and then distilling it so that its chemical properties can be used when needed. In other words, they don’t just smell good. They actually provide physiological and psychological benefits to us through their “essence”. The tiny molecules of the plant compound activate and support our body’s own natural processes to provide better health and well-being. There are two ways to best benefit from essential oils: Inhalation (smell ’em) and absorption (rub ’em on your skin mixed with a carrier oil – we’ll talk about carrier oils in a minute). When you inhale an essential oil by holding the bottle to your nose or through a diffuser, the plant properties reach the olfactory system at the top of your nose. The teeny-tiny nerves in your nose have direct access to your brain. When activated, they send a message straight to your limbic system in the brain telling it to start acting immediately. Our limbic system is the control center for emotions, mood, mind and memory. What the brain triggers the body to do depends on the essential oil we inhale. For example, if we inhale Lavender essential oil, our nervous system will start to relax, providing (among other things), relaxation and a sense of well-being. The oil stimulates serotonin release in the body, which reduces stress, promotes better sleep and gets rid of a headache or migraine. Yay! The other way to use essential oils is to put them on the skin (always diluted in a “carrier” oil – we’ll talk about that in a minute). When we do this, the healing properties in the oils are absorbed by our pores and hair follicles and move into the bloodstream. Once there, the party starts and they are dispersed to the organs and systems they heal and soothe. These are where are “pulse points” are and they will absorb the oils more quickly (and work faster). For example, if you have a headache, you could apply Lavender essential oil to your temples and the back of your neck to get some quick relief, since those are two common stress areas for headaches. Super Important: It’s tremendously important to ALWAYS dilute essential oils in a carrier oil before applying them to your skin! Remember, these oils are super concentrated and some can burn the skin or cause skin irritation. I once used full-strength lemongrass oil on my foot and it was red and itchy. So, make sure to use a carrier oil, okay? There are lots of different carrier oils you can use. I typically use a recipe of 1 part essential oil to 4 parts carrier oil. If you’re a “need to know everything” person, like me… here’s a blog post that lists all the carrier oils and which oil is good for what. Tip: Use unrefined, organic carrier oils. The more pure the carrier oil, the better the essential oils will work to improve whatever issue you are using them for. Refined, non-organic carrier oils are less pure and have gross chemicals that will decrease the essential oil’s chemical properties. Speaking of purity, I need to mention the importance of good-quality essential oils. These inexpensive oils are most likely SYNTHETIC — they do not contain any of the medicinal properties found in the plant! They may smell nice, but they won’t offer any benefits of the real thing because they are man-made. The process of creating essential oils is time-consuming, which means that you get what you pay for when it comes to essential oils. Who Has the Best Essential Oils? Hands down, Arome. Because I know how essential oils work, I use Arome oils every day and can sniff out inferior quality oil. And remember, EO’s have TONS of benefits. We’re talking better mood, deeper meditation, better sleep, increased intuition and oh so much more! Okay friends, that’s all I have for you today. I hope you’ve enjoyed this post about how essential oils work. Next Read: 10 Essential Oils You Can’t Live Without! NO TOOLS NEEDED – I love helping people and have been for over 25 years from all over the world in the comfort of there own home were I have direct contact with my spirit guides as I don’t need tools. 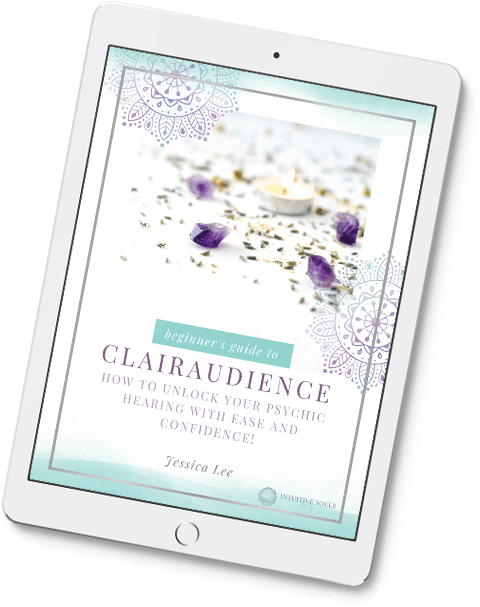 I have been a Psychic Medium all of my life and have featured on many TV, radio and many magazines, read for many famous clients and been featured in many newspapers and magazines.